A. The contents of all skips hired remains the property of the Hirer until the Provider is paid in full. B. 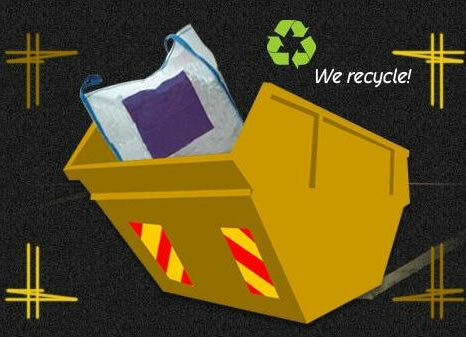 All skips are deposited, collected and left at the Hirer's risk. C. Any damage to persons or property caused by the depositing, collecting or moving skips is the Hirer's responsibility. Once the skip has been deposited by the Provider it must not be removed or relocated by anyone other than the Provider. D. In order to prevent debris falling during transit, the skip must not be loaded above the top of the sides. E. Where no person is available to sign, then placement of the order is taken as acceptance of these terms and conditions. Any problems or difficulties must be notified within twenty four hours. F. Under no circumstances should wet concrete be poured into skips. G. The Provider reserves the right to collect the skip at any time after the seven day period of hire without prior notification to the Hirer. H. No fires are to be lit in the skip.